The Sunday Post is a meme hosted by Kimba the Caffeinated Book Reviewer. ~ Inspired by the meme In My Mailbox.~ It’s a chance to share News. A post to recap the past week, showcase books and things we have received and share news about what is coming up for the week on our blog. I did decided on a theme for my Halloween tent at the small festival our city has each year. Harry Potter! (thus surprising no one). I bought a few things to get started and I’m making wands with chopsticks and hot glue. I’ll share pictures here once I get them sprayed with a top coat of some kind. 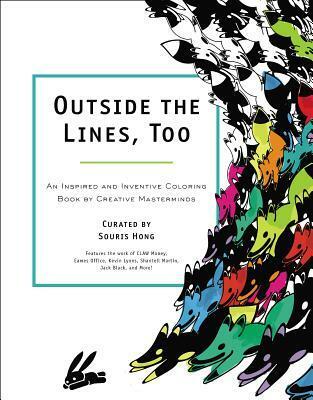 Outside the Lines, Too – Coloring Book. This isn’t actually a review copy but since the publisher sent it to me as a “sorry your review request hasn’t shown up yet” gift I’m going to review it. Image | This entry was posted in General and tagged sunday post. Bookmark the permalink. Hope this week is better. I can get grouchy if I don’t have caffeine- it’s amazing how much we need it sometimes LOL. The Weapon of a Jedi looks good, I haven’t seen that one although I did read a Star Wars book this week. I imagine some will be better than others but it’s good to know this one is good. Definitely. Weapon is a Middle Grade novel, so while it doesn’t actually add to the overall story very much I think it was great for what it was meant to be. Namely an introduction for new young Star Wars fans. A coloring book to review will be a change. Very serene, coloring! Yeah! I needed something different to break up the constant stream of reading. I’m definitely excited! I already have mine on pre-order, now it just needs to hurry up and release. 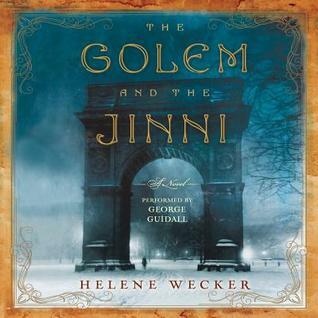 I loved the The Golem and the Jinni by Helene Wecker . I saw your wands..freakin’ adorable! I hope this week is better for you health wise. Me too! And I’m glad you like them, I’m hoping the kids do too! Migraines, urgh. I had one the week before last and it took me days to feel like myself again. That festival sounds like a lot of fun! You’ll have to take lots of photos for us to see! Lots of people seem to have Outside The Lines Too and it looks fab! Have a good week Michelle, hopefully stress free, annoying people free and migraine free! I’ll definitely try to remember to take photos. I didn’t take any last year because we were so busy and I didn’t have much up anyway. I hope you have a good week too Trish! So sorry to hear you’re still struggling with stress. I hope things improve for you soon. Is there anything you can ease up on? If you’re like me you may be stressing yourself unnecessarily. I tend to put extra pressure on myself when it’s not needed! PS. The Halloween idea sounds great! Sadly, at the moment there really isn’t anything I can do about it. I need a vacation to be honest, but I can’t afford to take one…not even just to stay home for a few days since I have to make sure the store has enough money to function next month. Plus dealing with people that come with their own brand of stress isn’t helping. Looks like you’ve got some good new books. 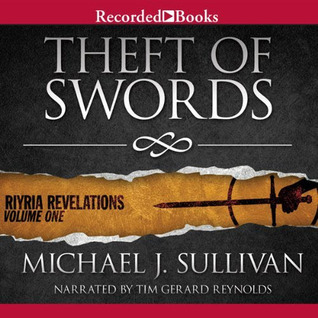 I’ve just started enjoying audiobooks, although I’m checking them out from the library and listening to them on my iphone. I’m sorry you’ve had a stressful week 😦 Hope this week is going better. I have to admit I’ve had some sleepless nights myself lately- maybe it’s the change in the season or something. The Harry Potter Halloween theme sounds really fun! 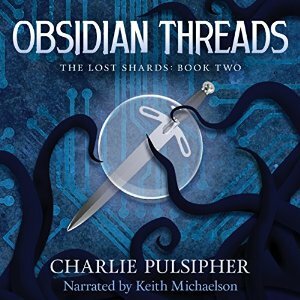 Happy reading and listening- yay for audiobooks!